John Wieland Homes and Neighborhoods is delighted to announce the opening of two designer model homes within Holding Village in Wake Forest, North Carolina. The new models feature upgrades from the exclusive new home design studio and are open for viewing daily. This entry was posted in New Home News, North Carolina, Raleigh new homes and tagged Carolina real estate, John Wieland Homes and Neighborhoods on February 29, 2016 by John Wieland Homes and Neighborhoods. Home buyers can find inspiration daily in the newly opened designer model home at Carnes Crossroads. Built by John Wieland Homes and Neighborhoods, The Randall is the latest addition from the builder’s Signature Portfolio’s Artisan Collection and offers classic charm just minutes from Downtown Summerville and Charleston. This entry was posted in Charleston new homes, New Home News, South Carolina and tagged Carolina real estate, John Wieland Homes and Neighborhoods on February 25, 2016 by John Wieland Homes and Neighborhoods. 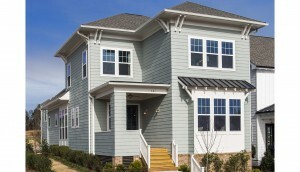 John Wieland Homes and Neighborhoods is now selling at The Gates at Ansley. Located in the heart of Union County’s sought-after Marvin area and priced from the $700,000s, the intimate gated enclave of just 36 opportunities blends estate-style living, architecturally distinctive streetscapes and quiet wooded backdrops. This entry was posted in Charlotte new homes, New Home News, North Carolina and tagged Charlotte, John Wieland Homes and Neighborhoods on February 22, 2016 by John Wieland Homes and Neighborhoods. This entry was posted in Charlotte new homes, Homebuyer Incentives, New Home News, North Carolina and tagged Carolina real estate, Charlotte, John Wieland Homes and Neighborhoods, North Carolina real estate on December 28, 2015 by John Wieland Homes and Neighborhoods. John Wieland Homes and Neighborhoods is pleased to announce the opening of its newest designer model home, The Randall. Located in Carnes Crossroads in the heart of the most neighborly southern town, this latest addition from the builder’s Signature Portfolio’s Heritage Collection offers classic charm in a highly regarded, sought-after area. With four bedrooms, three bathrooms and a two-car garage, The Randall provides more than 2,000 square feet of gracious living space to both relax and play. The home features a bright open entrance and welcoming views of the dining and great rooms. The kitchen showcases a large walk-in pantry with a convenient connection directly to the dining room and easy entertaining. The great room offers a cozy setting to gather near the fireplace that is still open to the kitchen. Additionally, the first floor provides a convenient guest suite and formal dining room. Upstairs, the owner’s suite has a luxury spa bath and enormous walk-in closet. Residents of Carnes Crossroads can enjoy access to an array of recreational and social activities. The historic Green Barn has been refurbished as an open-air gathering place and is the centerpiece of a recreational amenity center that includes a 25-meter pool, complete with beach entry and a splash and play area for kids. Runners, walkers, and bicyclists can enjoy miles of trails that thread throughout the neighborhood. Hundreds of acres of parks, lakes and greenways also provide countless opportunities to connect with neighbors and friends. Home buyers at Carnes Crossroads will enjoy the opportunity to personalize their new homes with the help of a dedicated Design Consultant at John Wieland’s exclusive New Home Design Studio. Homes at Carnes Crossroads are priced from the $300,000s. 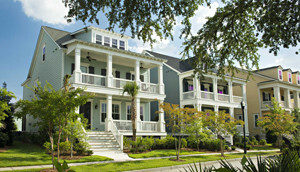 Interested buyers can find more information or schedule a tour by calling 843-761-8600 or visiting www.jwhomes.com. This entry was posted in Charleston new homes, New Home News, South Carolina and tagged Charleston new homes, John Wieland Homes and Neighborhoods, New Model Home on November 25, 2015 by John Wieland Homes and Neighborhoods.